There is little argument that despite trailing the Milwaukee Bucks (and the Toronto Raptors at the time of this typing) in the race for the best record in the NBA, the Larry O’Brien Trophy is still the Golden State Warriors’ to lose. 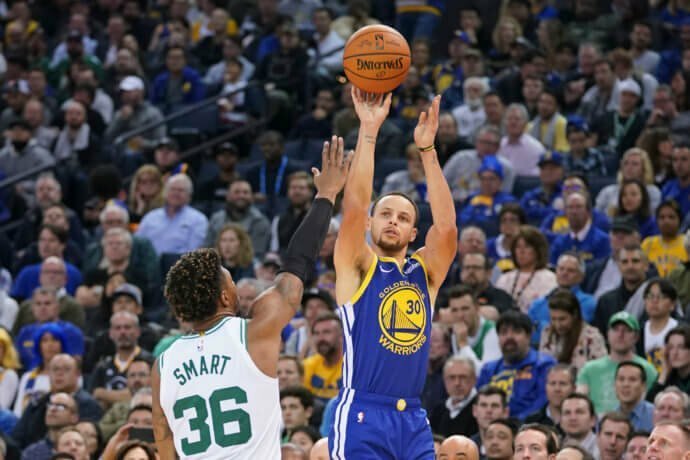 Looking to become only the second team in NBA history to play in five consecutive NBA Finals and the first to “three-peat” since the Los Angeles Lakers from 2000-02, the Warriors have at times played disinterested, but they also have roared to life when felt challenged as Stephen Curry, Kevin Durant, Klay Thompson, et al are still quite capable of playing breathtaking basketball. That is why Steve Kerr’s team is still -210 according to Fan Duel to complete the “three-peat,” yet there does not to be as well-defined a line of level of talent as there was last June when the only outcome in doubt was whther the Warriors would sweep LeBron James and the Cavaliers in four games or a gentlemen’s sweep of five. The Bucks are legit contenders and lead the line for those who can knock the Warriors off the throne. Milwaukee Bucks (+850) – The Bucks have maintained a consistent level of excellence throughout the season and are trending to be the No. 1 seed for the Eastern Conference while claiming home-court advantage at the sparkling new Fiserv Forum throughout the playoffs. 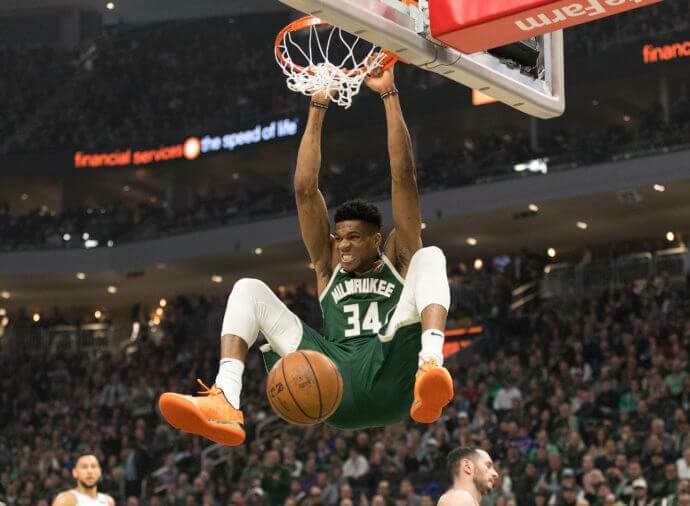 Led by MVP frontrunner Giannis Antetokounmpo (-250 to win MVP) and his well-rounded game on both sides of the ball, Milwaukee has a chance to end an NBA title drought that dates back to 1971 when Kareem Abdul-Jabbar and Oscar Robertson powered the Bucks to their lone championship. Antetokounmpo has plenty of help offensively in point guard Eric Bledsoe and inside-out scorer Khris Middleton. Seven-footer Brook Lopez brings additional size defensively in the paint and has shown an ability to knock down 3-point shots when left on the perimeter. First-year coach Mike Budenholzer will have to heal some of the scars of last year’s first-round exit at the hands of the Boston Celtics since the Bucks have not won a playoff series since 2001, but the championship window appears to be opening in Milwaukee. 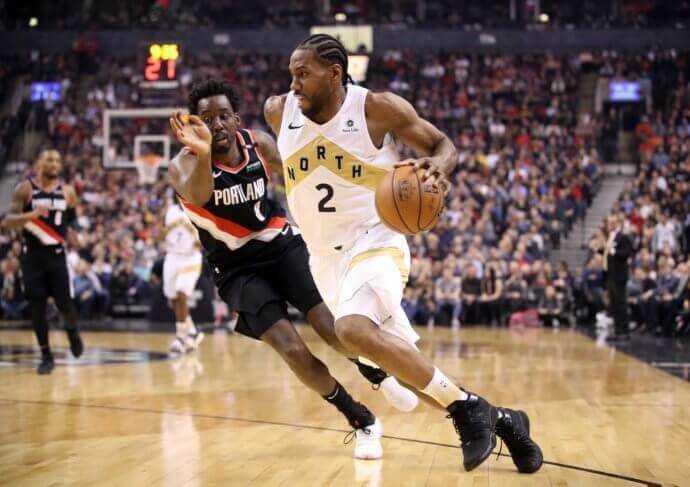 Toronto Raptors (+1,100) – Much was made of the Raptors shipping DeMar DeRozan to San Antonio for Kawhi Leonard in exchange of superstars, and it can be argued both teams have done well for themselves moving forward with Leonard rejuvenated and on pace for a career high in scoring average. The Raptors have some of the same post-season scars the Bucks have, but they are also different because James administered them all over the last three years before leaving Cleveland for Los Angeles. Leonard’s championship pedigree cannot be understated for a Raptors franchise that has just one conference finals appearance in club history. Kyle Lowry is still the heart and soul of this team, and if he can kick his offense into another gear in the postseason while keeping Pascal Siakam and Serge Ibaka involved, Toronto could be headed to its first NBA Finals. Denver Nuggets (+2,000) – The Nuggets are actually third in the Western Conference pecking order behind Golden State and Houston (more on the Rockets later) in terms of betting favorites, but one gets the sense they could be more primed and balanced offensively to give the Warriors a better challenge at some point in the first three rounds. Denver has quietly put together a 50-win season while serving as Golden State’s primary competition for the No. 1 seed in the Western Conference. 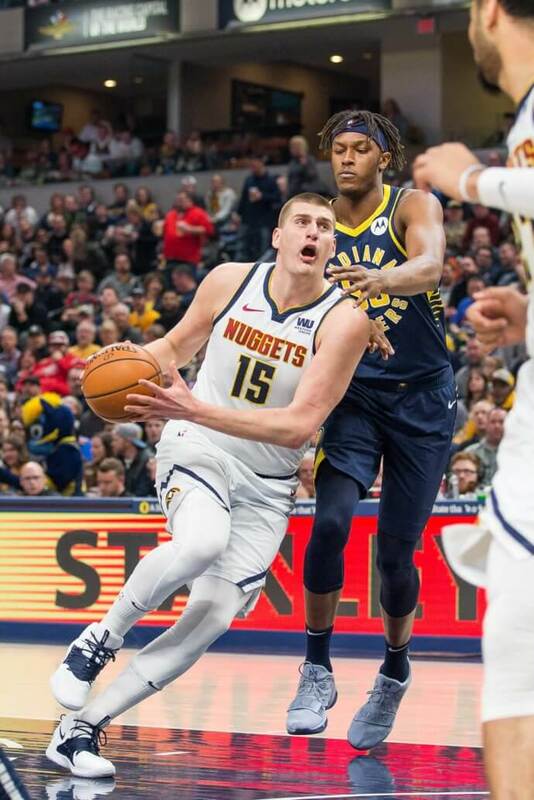 Nikola Jokic (+9,500 to win MVP) is criminally underrated as a point center, averaging 20-10-7 while posting 12 triple-doubles, and the Nuggets have a trio of guards in Jamal Murray, Malik Beasley and Gary Harris who can bury opponents with an avalanche of 3-pointers. 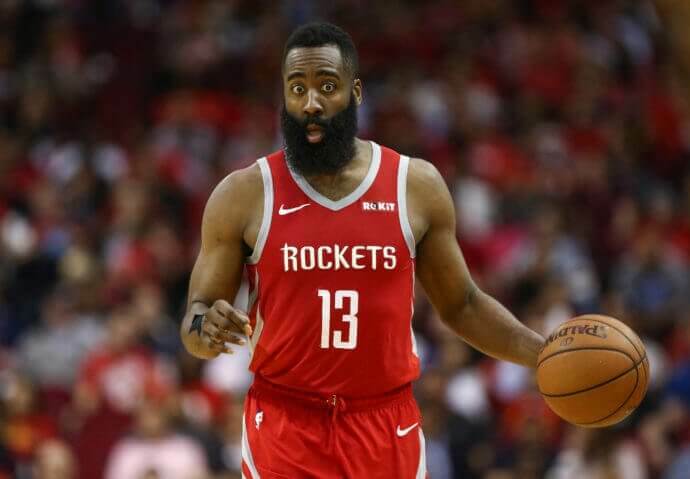 Houston Rockets (+1,100) – The Rockets are joint-third with the Raptors behind Milwaukee, but the feeling is they are overvalued because of how James Harden has warped their offense. In his defense, Harden (+175 to win MVP) – who is averaging an NBA-leading 36.2 points — had to warp the offense when Chris Paul was sidelined, but one gets the sense this team’s window came and went with Paul’s hamstring in Games 6 and 7 of last year’s Western Conference finals when they were up 3-2 on the Warriors. The Rockets are still a team to be feared because both Harden and Paul can catch fire and shoot them through a round in the postseason, but Clint Capela and P.J. Tucker might not be enough to stop teams along the interior defensively on nights when the 3-point shot is not falling. 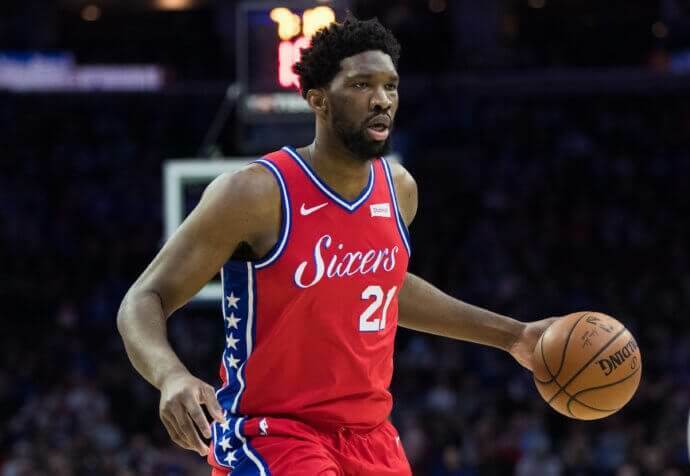 Philadelphia 76ers (+1,300) – Just like Denver has flown under the radar in the Western Conference, Philadelphjis has done likewise in the East even after acquiring James Butle from Minnesota in an early season blockbuster deal. Joel Embiid may be the one player in the East who can neutralize Antetokounmpo in single coverage and also demand a double coverage when he does have the ball. Butler and fellow in-season acquisition Tobias Harris have gelled with holdovers Embiid, J.J. Redick and Ben Simmons, and what makes Philadelphia dangerous is each player has a well-defined role. When they play within those roles, the 76ers have arguably the best offensive starting five in the NBA, are better than the sum of their parts and capable of beating anyone in the league. Like everyone else in the East, it’s a brave new world without James lording over them, and the 76ers have a puncher’s chance in reaching their first NBA Finals since Allen Iverson guided them there in 2001.